J ustin Webb is a Mediator and Facilitator (Divorce Co-ordinator) and Director of JW Private Practice. Justin is an industrious and enthusiastic go-getter, with a high level of tenacity. He thrives on challenges and strives to provide a service that is personalised, precise and accountable. 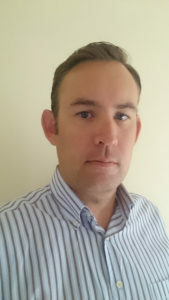 He is a board member at several schools and non-profit organisations in Cape Town. Justin’s knowledge and experience with couples, family, children and parenting is extensive. JW Private Practice is located at multiple locations in Cape Town, Johannesburg, Port Elizabeth and Durban. Justin has been involved in developing parenting workshops on topics such as Divorce, Step-parenting and the Effects of Divorce on Children. Justin formulated JW Private Practice developing a knowledgeable and experienced network of skilled Mediators, Facilitators (Divorce Co-ordinators), Psychologists, Child Psychologists, Education Psychologists, Counsellors and Attorneys with the goal to provide families and clients who require various services with a broad scope professionals who are able to assist in all matters. 1) Child Assessments: An assessment is of your child’s development—physical, language, intellectual, social, and emotional needs.—by a developmental assessment specialist, or a team of professionals that can include a paediatrician, language specialist, audiologist, occupational therapist, child psychologist, and a physician. 2) Positive Parenting: Lots of practical solutions for parents as well as tips for improving communication,building positive relationships and other useful parenting skills. The goal of parenting is to teach kids to develop self-discipline. Many parents feel spanking is necessary for effective discipline. 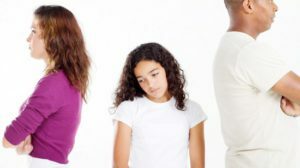 3) Mediation (Couples/ Family): Experienced Couples/ Family Mediators of are able to a help couples/ families locked in a dispute or in the process of divorce to reach a mutually beneficial outcome in a manner that is cost effective. Generally, the process is one of robust negotiation. The objective in mediation is usually to achieve a binding and enforceable agreement settling all matters in dispute. 4) Facilitation/ Divorce Co-ordinator (Couples/ Family): Facilitation can be used to resolve any type of family dispute – divorce (financial aspects, contact and care, rights and responsibilities in respect of the parents to the children, holiday contact, maintenance issues), post-divorce disputes (ongoing contact, disputes with regard to joint decisions to be made between the parties etc), maintenance, permanent relationship or civil union disputes, relocation matters, testamentary division. Facilitation is cheaper, quicker and more user-friendly than the court processes The facilitator helps people to think pragmatically and reach amicable decisions simultaneously insuring that the family/ children’s best interests are taken into consideration. 5) Mediation (Corporate): Well versed in business, combined with experience in mediation we are able to help parties locked in a dispute regarding all types of business to reach a mutually beneficial outcome. 6) Therapeutic Services: The therapeutic approach followed varies according to the particular needs of adults and children.